By kind permission of original designer, Rod Roper, Belair are pleased to offer the President. 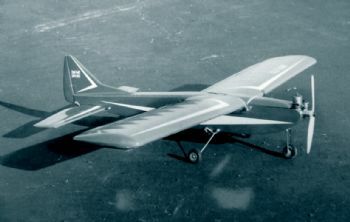 This retro model was one of the first 'full house' aerobatic aircraft. 60 inch span for Merco 49 or similar. The Parts Set includes fuselage sides, doubler, formers, fin, rudder, wing ribs, dihedral braces, just add strip and sheet. Plan now included.